44% of Israelis believe the latest cessation of hostilities on the blockaded Gaza Strip is a wrong decision, a poll conducted by Hebrew-speaking Maariv daily has found out. According to the poll, 57% of respondents said they believe the Israeli Prime Minister Benjamin Netanyahu has failed to protect Israel’s security. 76% of Israelis believe that Netanyahu’s performance in the recent round of hostilities with Hamas was very weak. 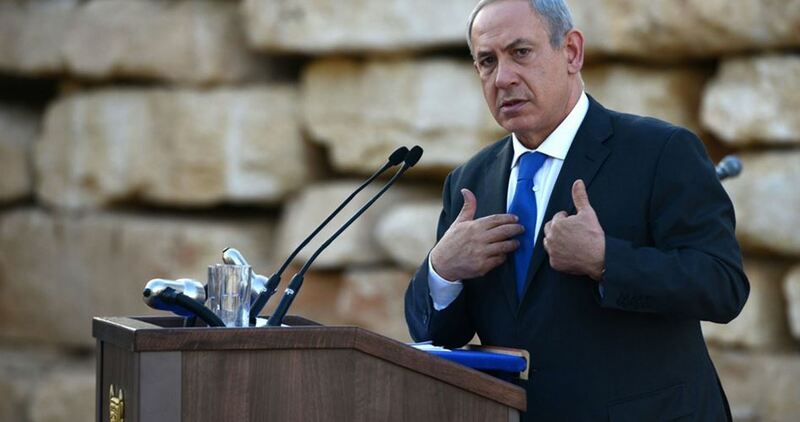 41% approved of Netanyahu’s policies. The poll showed that 33% of Israelis think that Benny Gantz is the best substitute for incumbent Netanyahu. At the entrances of Nablus governorate to the north-west, the towns of Deir Sharaf, Barqa and Bazaria, suffer from the scarcity of water, despite the fact that they live on a large water basin, while the nearby settlement of Shavei Shomron enjoys large amounts of water round the clock. The residents of these towns, which number more than 40,000, are distressed and thirsty, while 1,200 settlers consume water twice as much they do. Palestinians’ plantations die because of the lack of water in the summer, and the trees of Shavei Shomron settlement rise up in the sky due to abundant amounts of water. Dirar Abu Omar, the Director of the Agricultural Relief Society in Nablus and the former deputy mayor of Barqa village for four years, said that the Israelis control the water basin in the settlement of Shomron, which gets its water from the water-well of the Palestinian neighboring village of Beit Iba. When the water level goes down to less than two meters, settlers get water around the clock. He added that anyone observing the trees inside the Israeli military post and the settlement of Shomron, could see the size of the trees, which are no more than ten years old. The trees of the villages of Naqoura and Deir Sharaf, which are 60 years old, do not reach half of their size due to the lack of water. The head of the council of Deir Sharaf village, Fahmi Nofal, confirms that only a street separates his town from the Israeli settlement. In the summer, the town suffers from lack of drinking water, and people are forced to buy water through tanks or to bring water from a water spring in the town. Farmer Abdullah Antari says that dozens of dunums planted with citrus have dried up or decreased their produce due to the lack of water, after the village was known for orange and lemon produce, which was profitable for farmers, pointing out that one of the workers from the town at the settlement of Shomron has noticed the existence of swimming pools in the majority of the houses of the settlement, as well as pipes for watering plantations around the clock. According to Mahmoud Saifi, the Director of the Land Research Center in Nablus, the Israeli occupation controls the Palestinian resources, including water, as well as the drilling of water-wells and the quantities of water allowed to be pumped, based on the Oslo Accords, without heeding the needs of the citizens for drinking water and for irrigating crops. He added that the villages north-west of Nablus is an example of this, despite the presence of plenty of water under their land, and the passage of water lines in front of their homes. 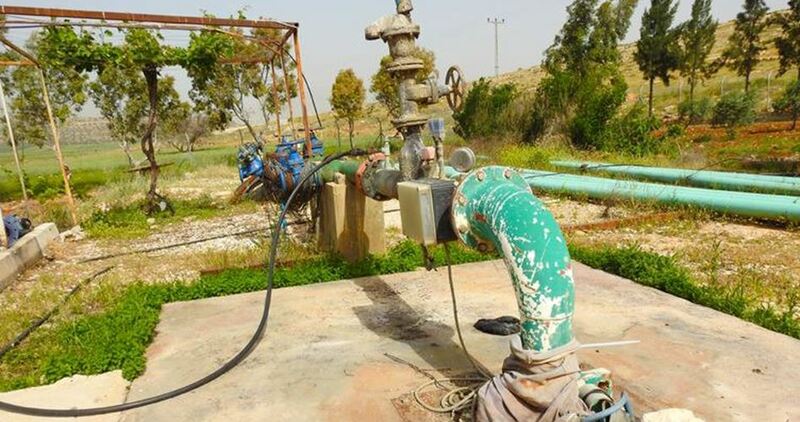 According to the Palestinian Central Bureau of Statistics, the Israeli occupation controls 85% of the water flowing from the aquifers, forcing the Palestinians to purchase water from the Israeli water company Mekorot; the amount of water purchased amounted to 63.5 million m3. The Israeli occupation also controls most of the renewable water resources in Palestine, amounting to about 750 million m3 annually, while the Palestinians receive only about 110 million m3 of the available resources. The Palestinian share of the aquifers according to the Oslo Accords is 118 million m3. This quantity was supposed to become 200 million m3 by the year 2000, if the Oslo Accords were implemented. According to Engineer Mazen Ghoneim, the Head of the Water Authority in Palestine, the daily ration of water of Israeli settlers is from 400 to 800 liters, compared to 45-50 liters for the Palestinians. 225,228 persons suffered from at least one difficulty, which constitute 5.8% of the total population of Palestine; 127,266 in the West Bank constituting 5.1% of the total population of West Bank, and 127,962 in Gaza Strip constituting 6.8% of the total population of Gaza Strip, Palestinian sources said. 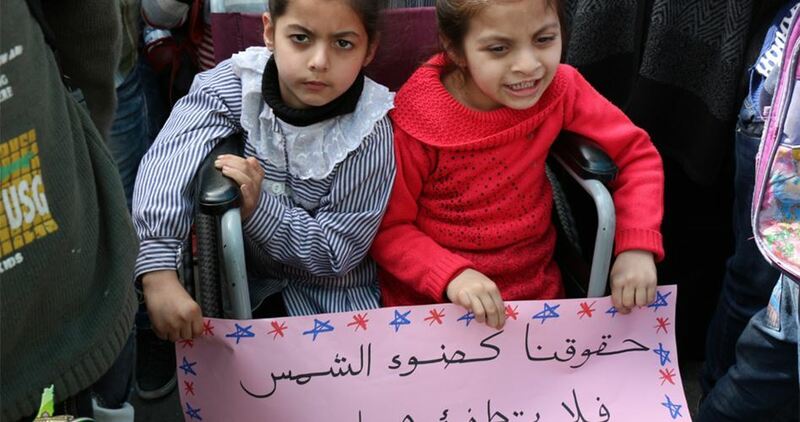 The Palestinian Central Bureau of Statistics (PCBS) said in a report published on Monday that the number of people with disabilities in the Gaza Strip has sharply increased over the past 10 years from 3.7% of the total population to 6.8% in 2017. The PCBS said, marking the International Day of Persons with Disabilities, the percentage of people with disabilities increased in Gaza Strip in 2017 compared to a slight decrease in the West Bank. On the other hand, said the PCBS, the percentage of persons with difficulties in Palestine in 2017 among males was 6.3% and 5.4% among females, while 2007 data indicated that the percentage reached 4.8% among males and 4.6% among females. Statistics showed that 2.9% of the total persons in Palestine are with mobility difficulties in 2017. Seeing difficulty is the second most prevalent with 2.6%. Compared to 2007 seeing difficulty was the most prevalent with 2.5% in Palestine followed by mobility difficulty with 1.8% of total population. Meanwhile, the Palestine Center for Prisoners Studies revealed that 33 Palestinians suffering physical or mental disabilities are currently held in Israeli jails amid very difficult detention conditions. At approximately 14:30, thousands of civilians, including women, children and entire families, started swarming to the five encampments established by the Supreme National Authority of Great March of Return and Breaking the Siege adjacent to the border fence with Israel in eastern Gaza Strip cities and raised flags, chanted national songs in addition to organizing sportive and folklore performances inside the encampments and its yards. Hundreds, including children and women, approached the border fence with Israel in front of each encampment and gathered tens of meters away from the main border fence. 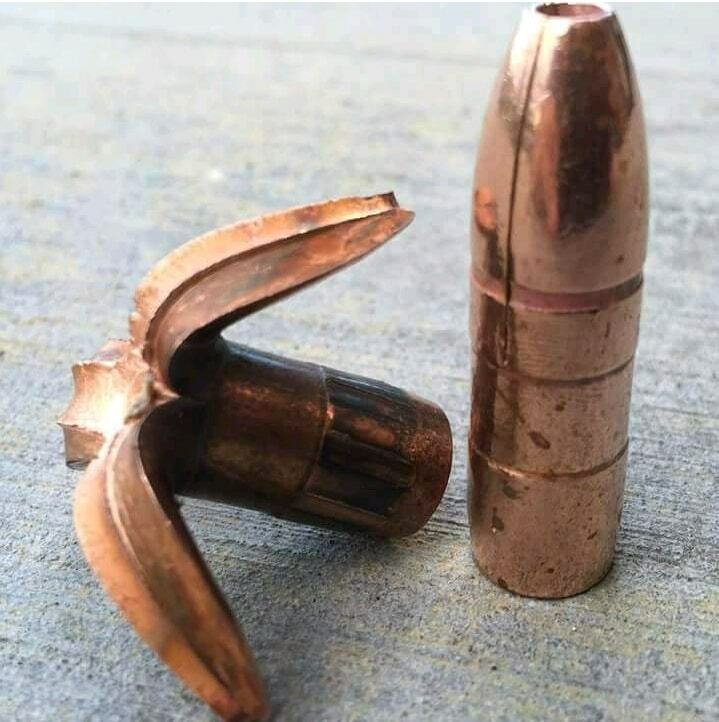 Further, setting fire to tires, throwing stones, incendiary balloons and Molotov cocktails were almost absent. Despite the prevailing calmness, the Israeli forces fired live and rubber bullets in addition to hundreds of teargas canisters, particualry in eastern Jabalia, Gaza and al-Bureij refugee camp. 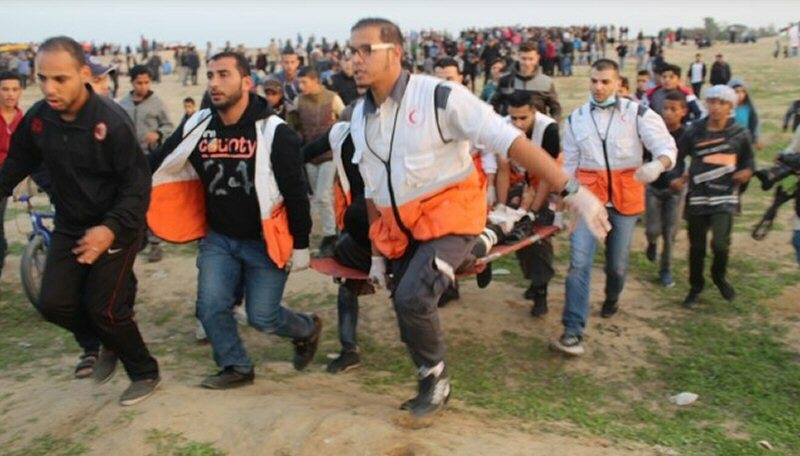 The Israeli shooting, which continued at around 17:00, resulted in the injury of 58 Palestinian civilians, including 14 child and a paramedic. Doctors classified 4 civilians’ injury as serious. In addition, hundreds suffered tear gas inhalation and seizures due to tear gas canisters that were fired by the Israeli forces from the military jeeps and riffles in the eastern Gaza Strip. Among those wounded, 508 are in serious condition and 94 had their lower or upper limbs amputated; 82 lower-limb amputations, 2 upper-limb amputations, 10 finger amputations and 17 children had their limbs amputated according to the Ministry of Health. The number of those wounded only include those wounded with live bullet and directly hit with tear gas canisters as there have been thousand others who suffered tear gas inhalation and sustained bruises. PCHR emphasizes that continuously targeting civilians, who exercise their right to peaceful assembly or while carrying out their humanitarian duty, is a serious violation of the rules of international law, international humanitarian law, the ICC Rome Statute and Fourth Geneva Convention. The vast majority of the 3,117 patients treated by Médecins Sans Frontières (MSF) between 30 March and 31 October – out of the total 5,866 the Ministry of Health says have been injured by live fire – had been shot in the leg. Around half suffered open fractures, with severe soft tissue damage to many of the rest.